polka & bloom: Polka & Bloom in Mollie Makes magazine! 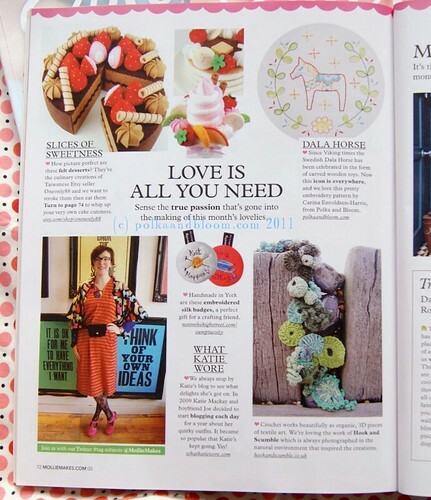 Polka & Bloom in Mollie Makes magazine! 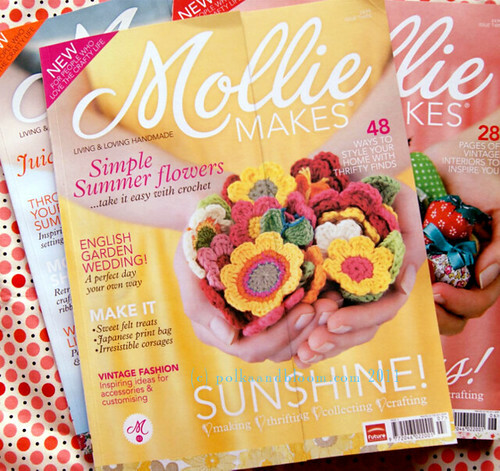 By now you may have heard of the lovely new crafty magazine called Mollie Makes? 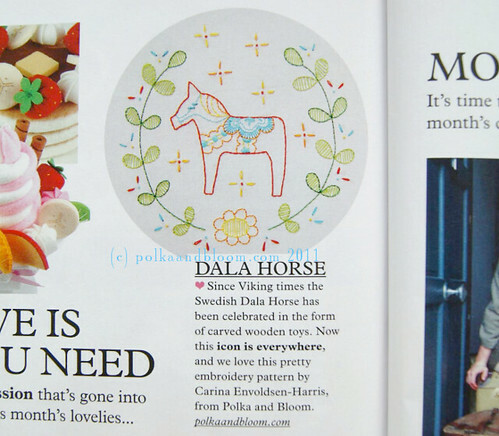 It's really quite fab, and the fabness got turned up a few notches (at least in my humble opinion) in this current issue because my Dala Horse pattern got a mention.